In the Tantrik tradition, and Asian spiritual traditions generally, there are a number of ways to categorize different kinds of student-teacher relationships. I find it useful to contemplate these categories. Why? Because if you are in a fantasy relationship with your “teacher,” you are wasting energy. It is empowering to have clarity about the kind of relationship you are actually in, or want to be in. A person cannot be a spiritual teacher independently of a relationship to a student. In fact, Guru is a function, not a person. The student, the one who realizes something of their real nature in relationship with a teacher, is the one who calls out the Guru function. Of course, not every spiritual teacher from whom we benefit is a Guru. Far from it. What is not a spiritual teacher-student relationship? No matter what your spiritual tradition, your relationship with your spiritual teacher has specificity. It is for something particular. In my tradition, the function of Guru is to help you to release karmic limitation and discover your real nature, aka, your continuity with all life. Then there are other kinds of teachers called upaya teachers from whom you learn method, but who are not necessarily going to pierce the darkness for you. In other traditions, the function of the teacher might be different, but there is still some particular work that you and your teacher are supposed to be doing together in order for it to count as a situation of real spiritual growth. But it frequently happens that people get into relationships with teachers and/or communities for reasons other than spiritual growth. to re-enact your relationships with your parents. You may want some of the above. Lots of sincere practitioners do. But if one or some of these are your main reason for hanging out with a teacher, you aren’t in a real teacher-student relationship. What is a spiritual teacher-student relationship? Chogyam Trunpa Rinpoche classifies spiritual teachers according to their functions in three Buddhist traditions: Hinayana, Mahayana and Vajrayana. I have adapted his classification here to emphasize that teacher is primarily a relationship, not an individual. How the teacher relates to you: The teacher imparts advice, and possibly View and method delivered in a generally non-challenging way. The teacher does not make a lot of demands on you. How you relate to the teacher: You are not ready to surrender much. You want to “get” teachings, or technique. You may relate to the teachings as information. How the teacher relates to you: The teacher serves as your companion on the path for however long you desire that situation. The teacher guides your spiritual journey, imparts advice, View and method. Sometimes the teacher might test you to see how much you are willing to let go, but there are few heavy demands. How you relate to the teacher: You understand more the need for surrender and what it is you are surrendering. Your approach to the teacher can be highly emotionally charged, or not. Your overarching feeling toward the teacher is gratitude. Your motivation: You want to transform your experience, in fact, you may feel quite desperate about this. But you are not fully on board for waking up. There is still a lot of self-referentiality in your desire to realize, but your interest in service and in being of benefit is on the rise. Vajra means both diamond-like and lightning. The Vajra Master illuminates your adamantine, indestructible essence nature with flashes like lightning bolts. The Guru has been called the one you hire to assassinate your ego (Dzongsar Khyentse Rinpoche), the one whose job it is to insult you (Trungpa Rinpoche), one who cannot be conned (Trungpa Rinpoche), a surgeon performing “ego-dectomy” (Shibendu Lahiri), and the spiritual dentist (anonymous student). In Sanskrit, the word “Guru” literally means “heavy.” The Guru is heavy because it feels heavy to have all of your self-concepts ripped away. The Guru is most commonly referred to as the remover of darkness. In the Guru Stotram, the Guru is called the one who removes the cataracts of ignorance from your eyes. Working with a Guru is said to be the most direct path. Your relationship with teacher becomes your main practice. That practice is called Guru yoga. Guru yoga means that you try to recognize that your essence nature is the same as the Guru’s. The Guru’s job is to help you to do that. In a real Guru-disciple relationship, there can be no power imbalance. The Guru is established in the understanding that all phenomena are equal. This is why when you take samaya diksha (initiation) with a Guru, the Guru prostrates to wisdom alongside you before the initiation begins. This is to emphasize the essential equality of you and your teacher. How the teacher relates to you: The teacher will do whatever it takes to help you to realize, however long that takes. The teacher is concerned with every area of your life and does not give you “breaks” from the process of trying to wake up. How you relate to the teacher: You see your goal in your teacher. The wisdom virtues that you wish to embody are reflected to you by your teacher. Gratitude turns into devotion. 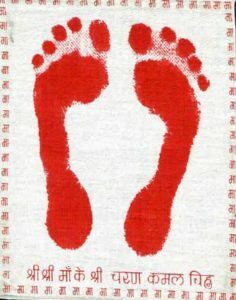 Devotion to your teacher eventually turns into devotion for everything: yourself, all beings, all manifestations of life. Motivation: Your motivation and your teacher’s are aligned. You both want only one thing: Self-knowledge. You finally understand that self-realization is the ultimate service and benefit. The Guru function in Trika Shaivism is called the Guru Tattva, or element. The fullfillment of Guru is the student who can call forth the Guru-disciple relationship. The Guru is, on some level, helpless. So in a sense, Guru is like Shiva: feeling-awareness, a reservoir of potential. 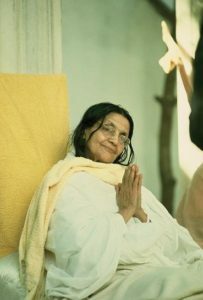 The disciple is like Shakti, the active, creative principle. Nothing can happen without her.